2019 is bringing in new hairstyles and trends you can experiment with. This year will be about statement-making cuts and color. Coloring your hair is like pushing the reset button and can refresh your overall look. It looks like this year will return to more natural colors as well as the use of naturally blended coloring techniques. If you’re looking for a change, or just want to stay on top of the trends, check out the snow bunny blonde look that’s taking the beauty industry by storm. Platinum or bright blond is back and is the latest trend for 2019. Hair professionals are dubbing it “snow bunny blonde.” Towards the end of 2018, we’ve seen this look on Kim Kardashian, Hilary Duff, Kylie Jenner, and Jennifer Lawrence to name a few. The tones will vary depending on your skin tone from a creamy, buttery color to icy blonde. 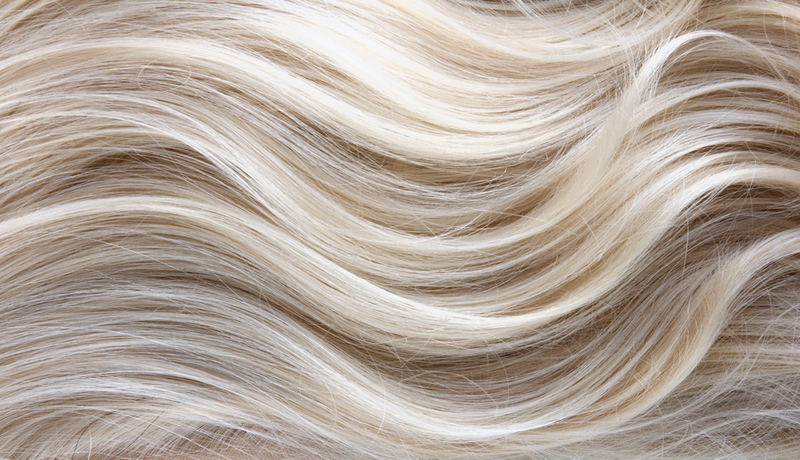 Contrary to popular belief, there are many shades of blonde besides platinum including dirty blonde, buttery blonde, honey blonde, and ash blonde. There’s no such thing as one size fits all. The condition of your hair, personal style, and skin tone will play a factor on if the snow bunny blonde hue will suit you. Snow bunny blonde is currently the hottest trend in Los Angeles, with some calling it “glacier blonde.” Experts stylists are showing no signs of it letting up. The job industries in LA allow for its employees to rock an edgier look than most other cities. It’s not uncommon to see hundreds of people walking around the City of Angels with snow-white hair. Pinterest saw a 50 percent increase in searches for snow bunny blonde hair in recent months. This trend isn’t just for California dreamers. The snow bunny blonde look is taking over the east coast as well. New Yorker’s are opting for the icicle-inspired version with a subtle blue tint. The blue undertones combined with the pale highlights make the hair appear powdery like snow. This particular shade is a lot easier to maintain than full-on platinum blonde. It won’t turn brassy or yellow as a platinum hue does. As the roots grow out, it’s less noticeable and will never look solid flat. Achieving the snow bunny blonde shade is not an easy feat. It takes a color specialist to be able to pull this look off for you. If your hair is currently on the darker end of the spectrum, it’s best that you gradually go lighter until you reach the desired icy white shade. Your hair should also be in excellent condition to avoid extensive damage and fall out. If you have dark hair, have your stylist leave some of your natural color in your roots to make it more forgiving as it grows out. If you’re ready to take the plunge into platinum blonde hair, it’s important to know that maintenance is a full-time job. You’ll need regular deep-conditioning treatments, monthly salon visits for touch-ups, and bottles of purple shampoo from the beauty supply store. The purple shampoo stops yellow or brassy tones from coming through.